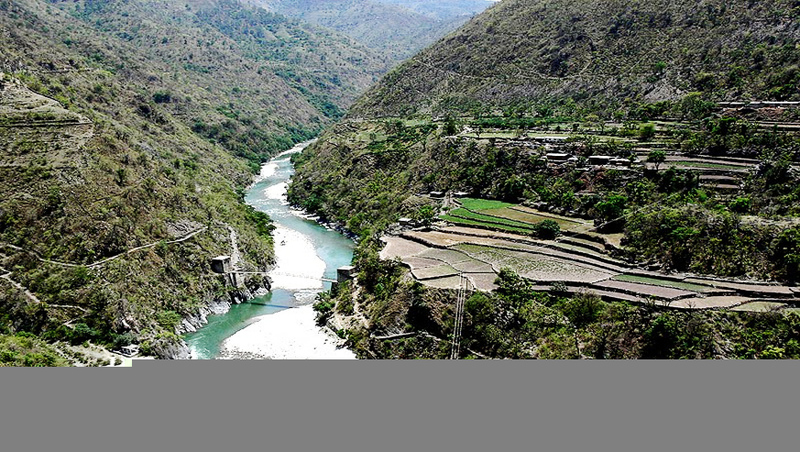 The source of river Yamuna, Yamunotri, is the westernmost shrine in Chardham. 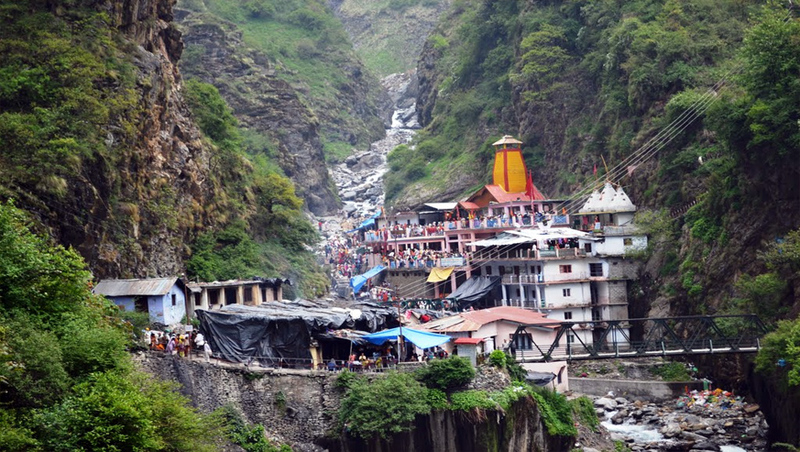 Situated on the top of Bandar Poonch Parvat the temple is devoted to goddess Yamuna. 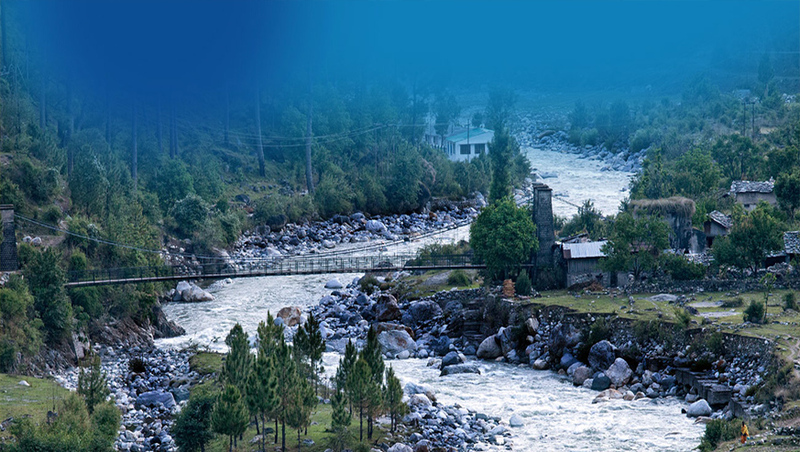 Although the actual source of river Yamuna is the Champasar Glacier or the Yamunotri Glacier is located at a distance of 1km from the temple on Kalind Mountain, but is not accessible so the temple itself is worshiped as the source of Yamuna. Yamunotri is reached after a 7km trek from Janki Chatti. The temple was built by Maharaja Pratap Shah of Tehri Garhwal on the banks of the river and the deity that resides here is made of black marble. The river Yamuna has been elevated to the status of a divine mother by the Hindu mythology for its role in nurturing the civilization in the Gangetic plain. There are hot water springs near the temple forming Kunds among which Surya Kund is the most important. Near this kund is a rock known as Divya Shila. The Divya Shila is worshiped before the deity. Devotees prepare potato and rice by tying them in a muslin cloth dipping them in the hot water springs and offer them to the deity. The rice is taken back as Prasad. The temple remains closed during the winters as the area is prone to heavy snowfall. Evening visit "Ganga Ceremony" at Har Ki Pauri. Day 2 : Hariwdar - Barkot (190Kms / 6-7Hrs drive). Meet our representative at your hotel and start your journey to Barkot after little refreshment. Visit on the way places like Satya Narayan temple in Haridwar, Prakasheswar temple in Dehradun, Kempty fall in Mussoorie. Morning after breakfast, drive for Jankichatti and start your trek to Yamunotri. 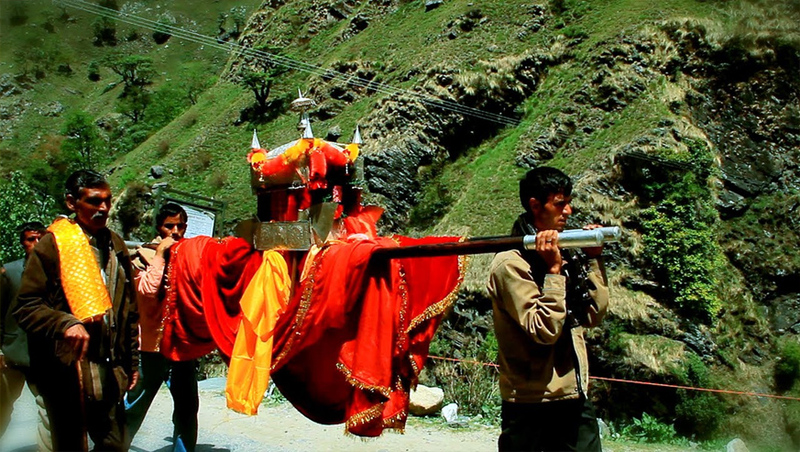 Visit Yamunotri temple and return trek to Jankichatti. Later drive towards the Barkot. Visit on the way places like Devoprayag, Vasistha Gufa and Laxman Jhula, and Ram Jhula in Rishikesh. Overnight at Hotel in Haridwar.